In order to prep your file for export to Unity, it is easiest to organize your file into material-based classes. Each class would contain a grouping of one or more objects that share the same material. It is generally straight forward to reassign classes to the existing objects in your scene. However, knowing where to change classes of individual parts of the pre-made spotlight objects can be a little less intuitive. 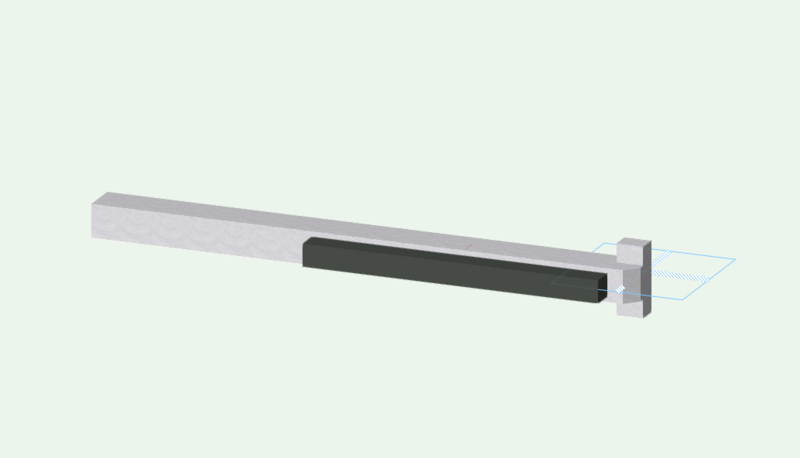 I have outlined below how to reassign classes for some typical spotlight objects, including monitors, stage risers, pipe & drape and the door tool. One more thing to note about these tricky spotlight objects: You must convert them to a group before attempting to covert to mesh. 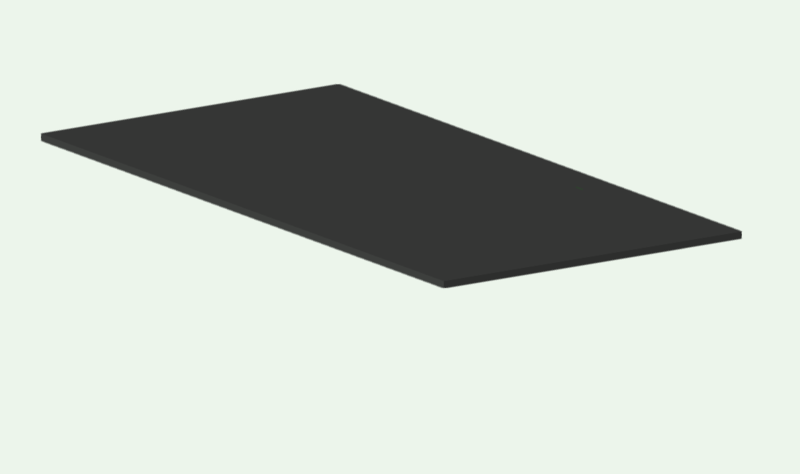 If, for example, you tried to convert only the top/tread (carpet) of a stage riser object to mesh, the rest of the spotlight object data would be lost. Converting the spotlight object to a group first prevents this loss. 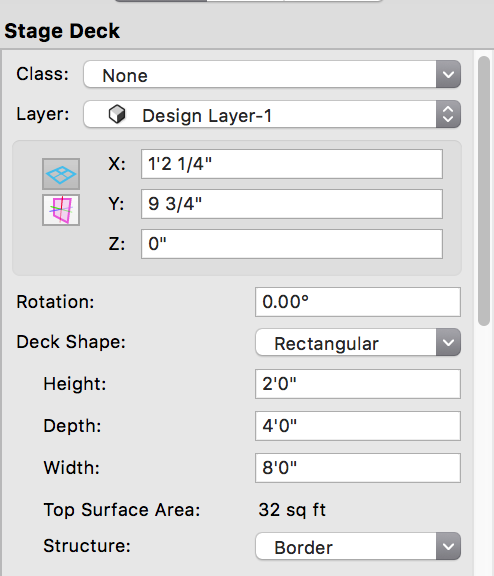 Define two classes in your file, one for each material. For the sake of this tutorial, I am using a 55” confidence monitor. 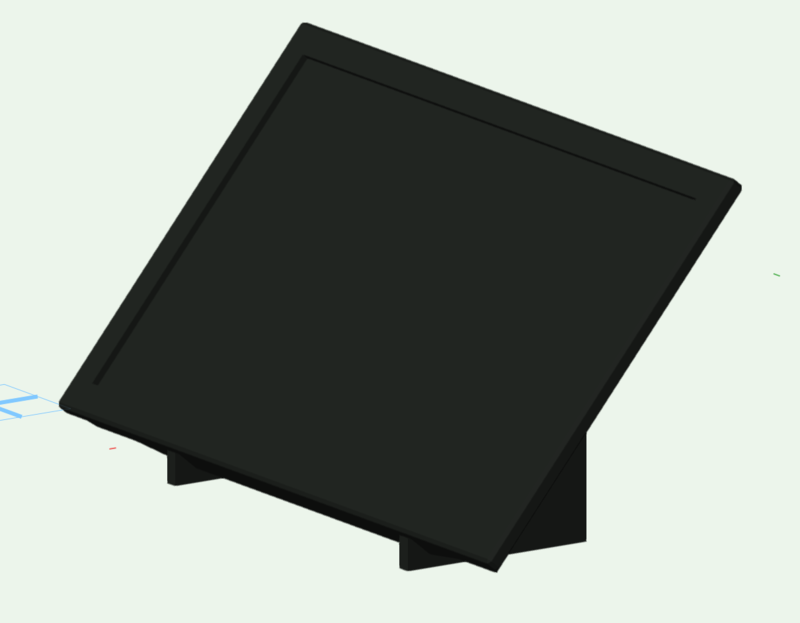 If you were using a monitor with an adjustable stand, for example, you would also want to include a class for the metal legs. 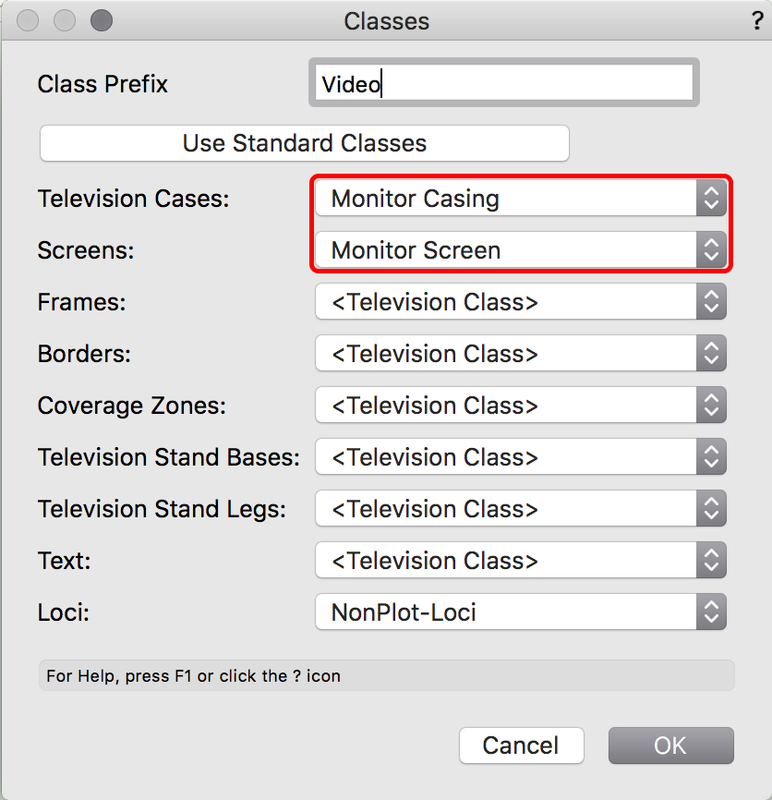 With the monitor object selected, click on the classes button in Object Info. Then reassign the ‘Television Cases’ and ‘Screens’ classes to match the new material-based class names you previously defined. Click OK. You will now be able to turn each individual material-based class on and off to be able to export each class as a separate .obj file. Define two classes in your file, one for each material. 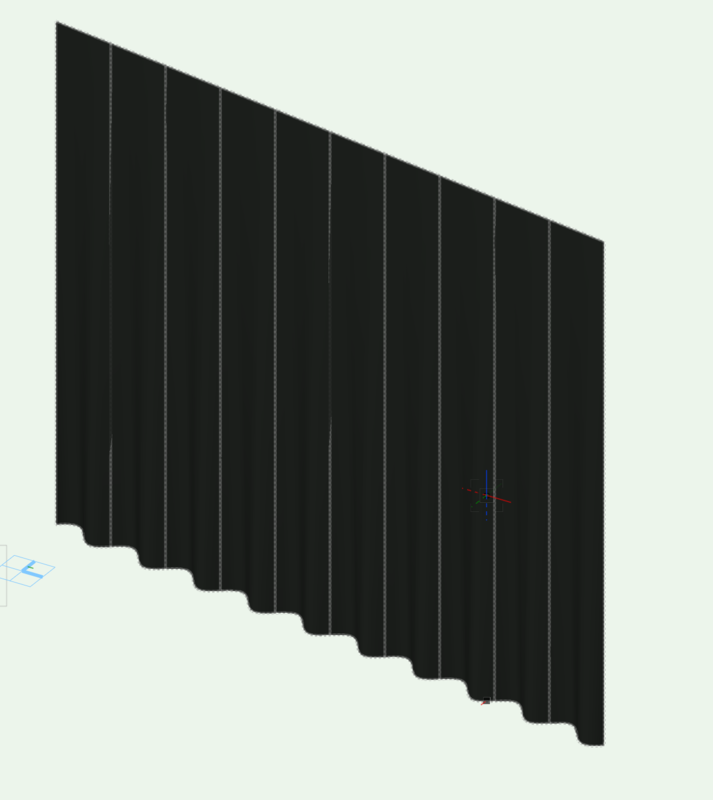 For the sake of this tutorial, I am using a 4’x8’x24” riser set to ‘Border’ as the structure. 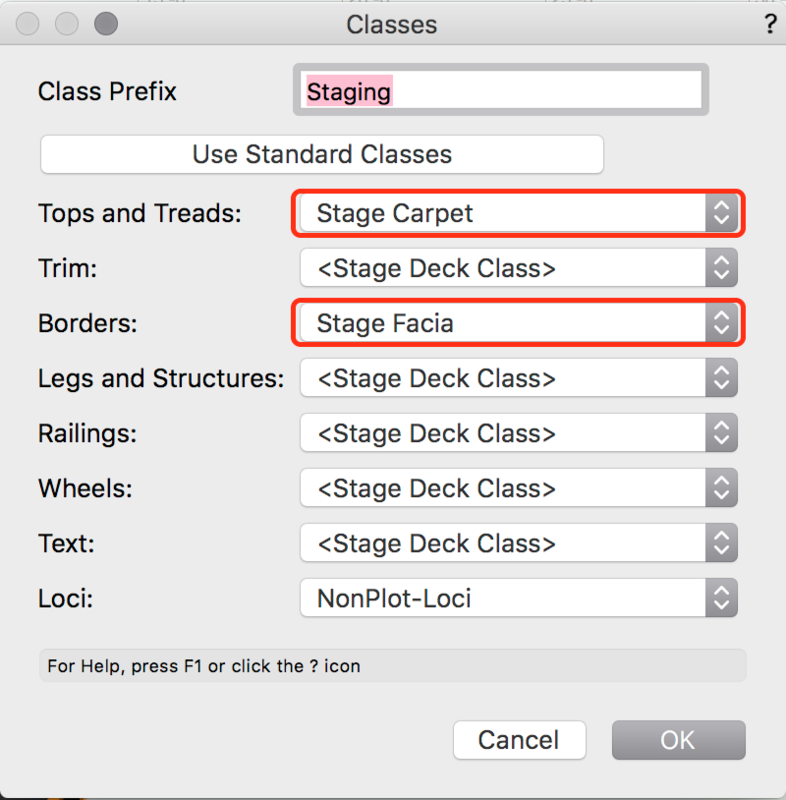 With the stage deck object selected, click on ‘Classes’ button in Object Info. Reassign the ‘Tops and Treads’ and ‘Borders’ classes to match the new material-based class names you previously defined. 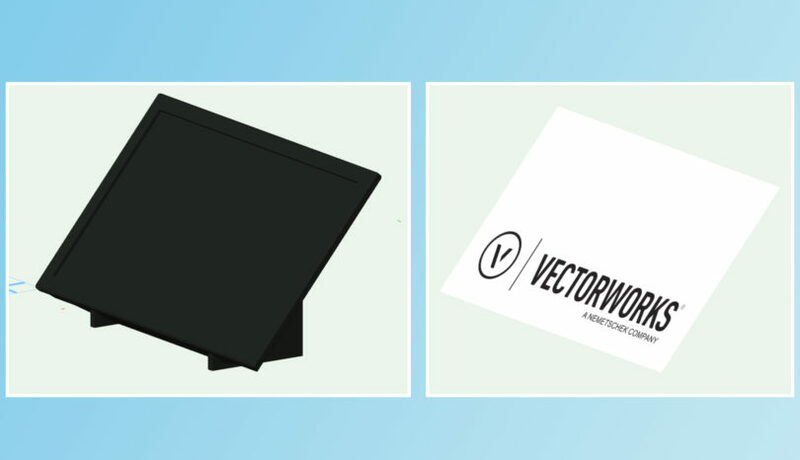 Define two classes in your file, one for metal and one for the fabric. 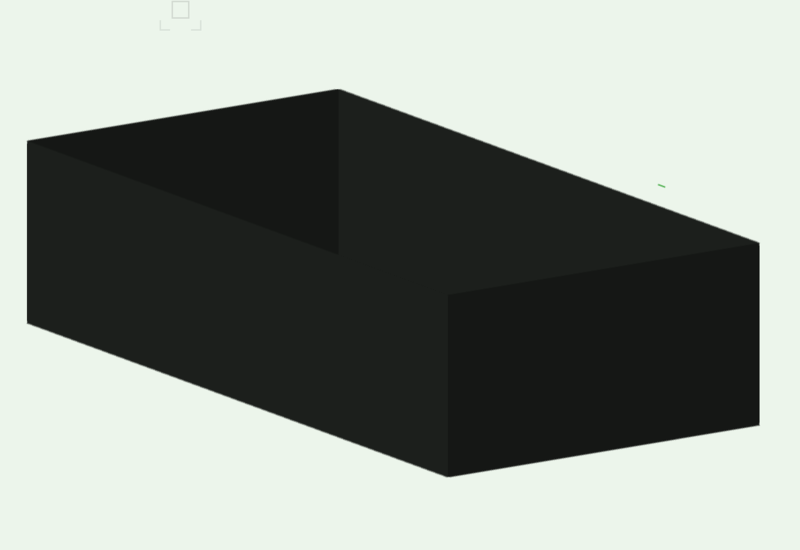 For the sake of this tutorial, I am using and 8’x8’ object set to ‘Pipe & Drape’ functionality with ‘Show 3D Uprights’ unchecked. 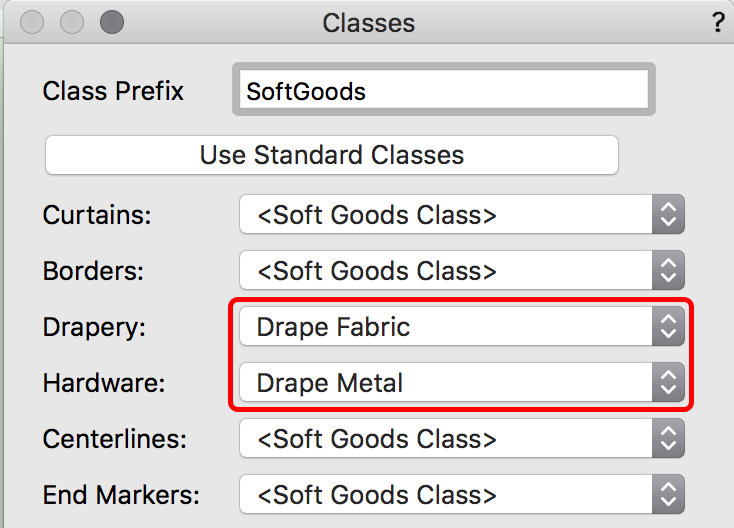 With the drape object selected, click on ‘Classes’ button in Object Info. Reassign the ‘Drapery’ and ‘Hardware’ classes to match the new material-based class names you previously defined. Doors are a little trickier. 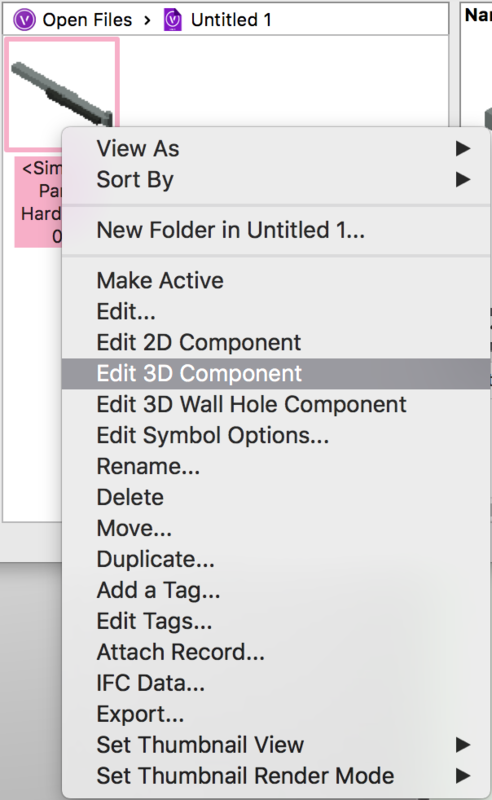 Start by Define two classes in your file, one for each material. 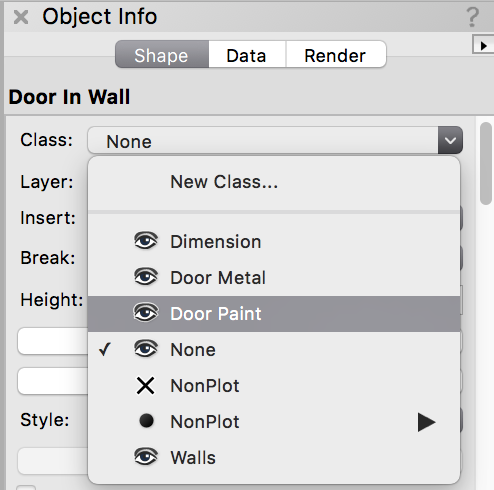 With the door object selected, change the class dropbox menu in Object Info to match the material-based class you just defined for the paint material. For the door hardware, we will need to edit the class from within the hardware symbol. 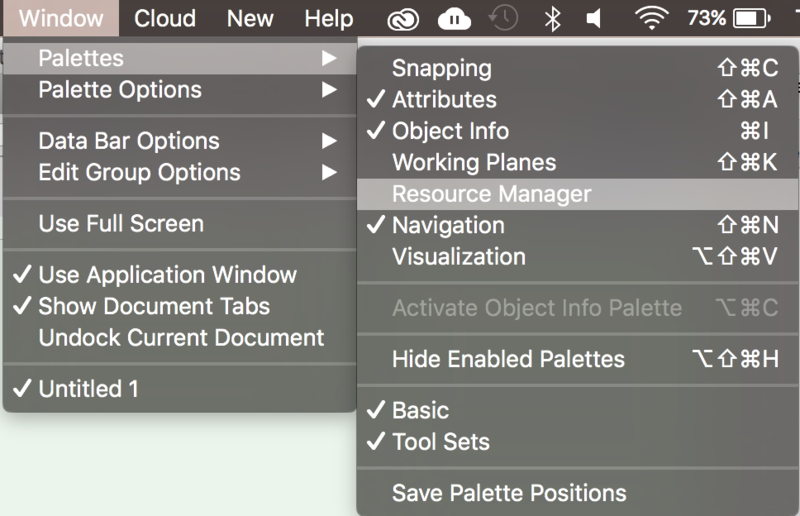 Navigate to your Resource Manager window, or Window> Resource Manager to open. 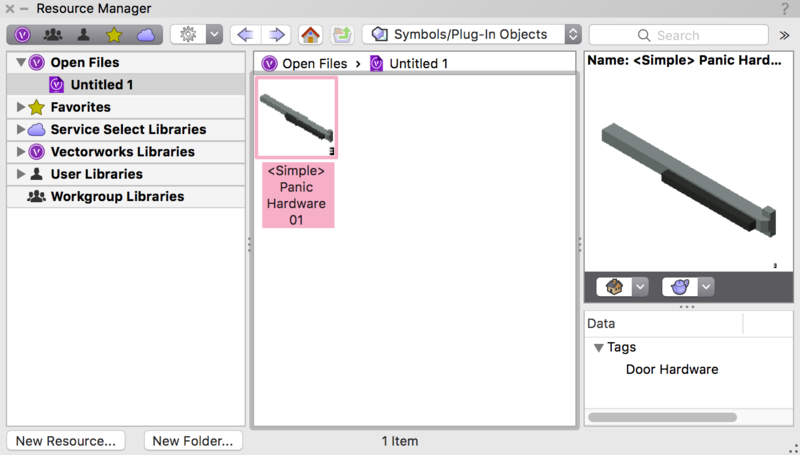 Then, locate your Symbol/Plug-in Object for the door hardware. 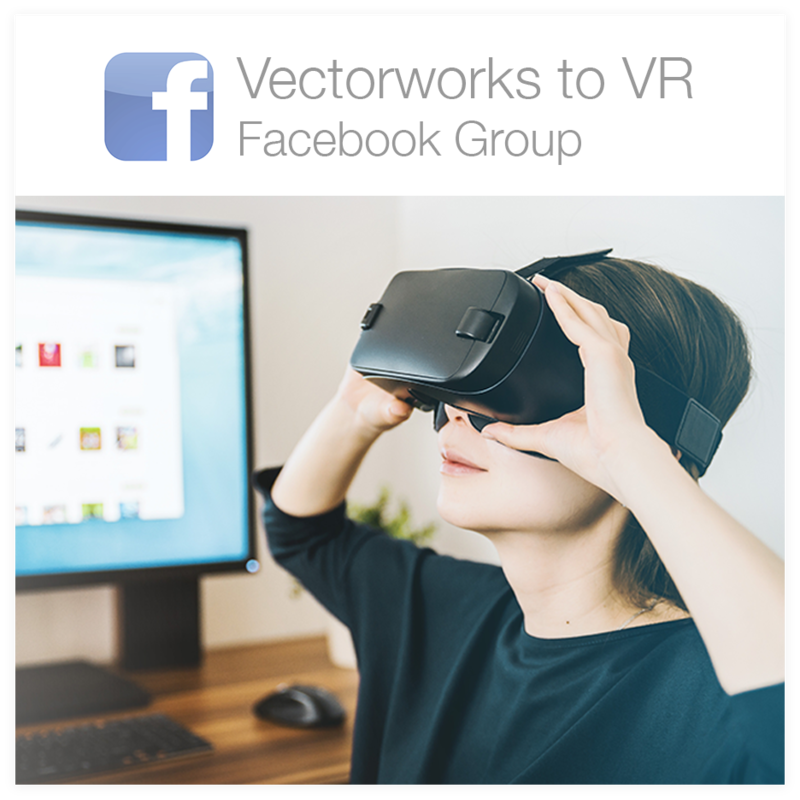 Right Click> Edit 3d Component. You will see the hardware symbol. 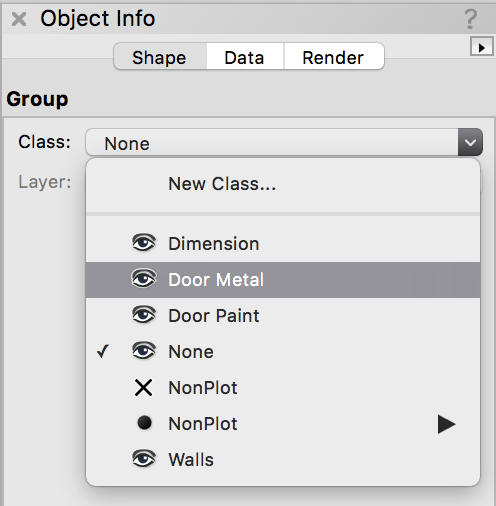 With the symbol object selected, change the class dropdown menu in Object Info to the material-based class you defined for the door’s metal. All done. Now you will now be able to turn each individual material-based class on and off to be able to export each class as a separate .obj file! 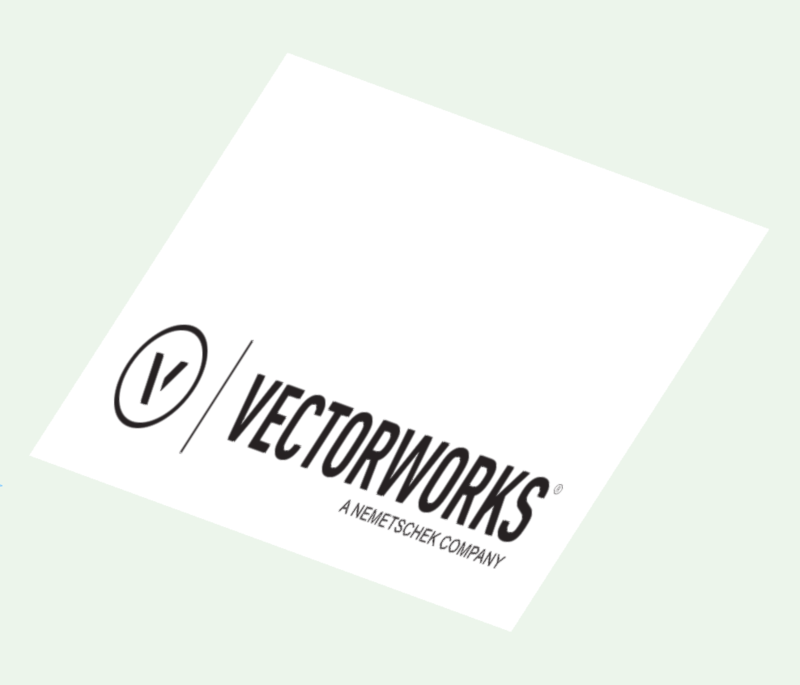 I hope this information will make it easier for you to get your Vectorworks designs working in Unity. One of the goals of ScenicMentor.com is to help designers learn and work faster, giving them more time to create and more easily share their ideas with the world!